This weekend, I decided to stitch up a new version of my Lunar Crossings Shawl. Red Heart had recently sent me some “Unforgettable” yarn in the colorway Gossamer and I was excited to try it out. 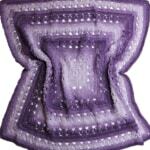 I originally made the Lunar Crossings Shawl in a finer weight. 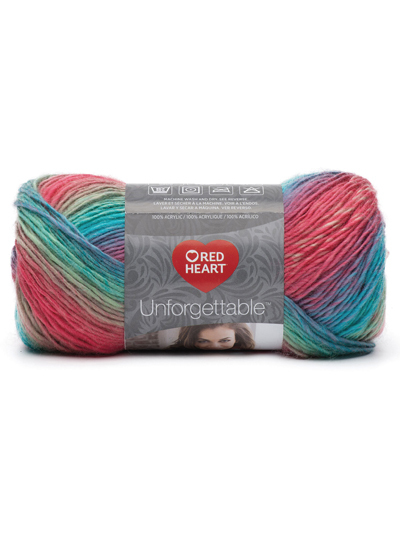 When I received this yarn, I wanted to try it out in the heavier weight yarn of Red Heart Unforgettable. Please follow the instructions below to make this variation to the original pattern which is also linked below. To make this version, I used three full skeins of Unforgettable and an I-9 (5.5mm) hook. I had just enough to make a tassel for the bottom. I used every bit of the three skeins of delicious color and softness. Thank you to Red Heart Yarns for providing yarn support for this project. 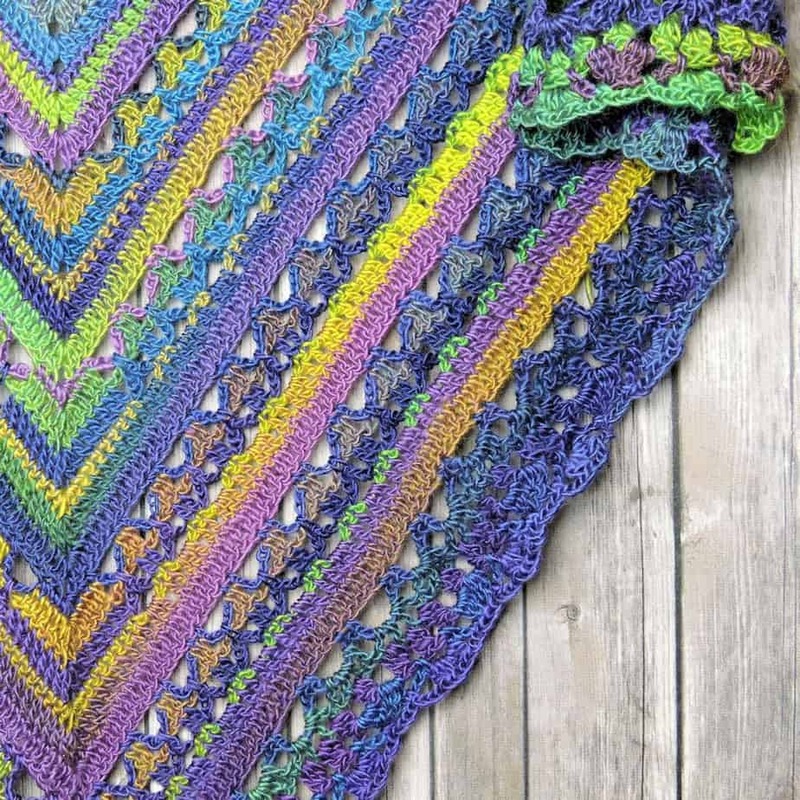 In order to make this project, I followed the Lunar Crossings Shawl pattern. After row 12, I did five more repeats of the six rows, ending with row 42. To make the edging, I used the Cluster Lace Edging up to the fifth round only. It required a small bit of modification at the edges since the shawl is a triangle and I only wanted the edging along the two sides. 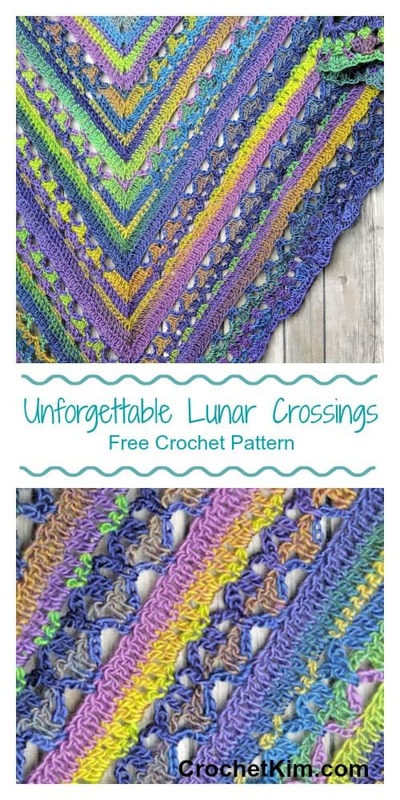 Lunar Crossings Shawl pattern available HERE. 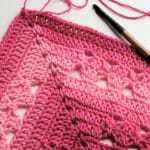 Cluster Lace Edging pattern available HERE.